Keep important manuals and papers secure and readily available to users whilst protecting them from moisture and dirt with a document storage box. 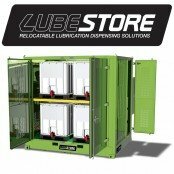 Offers an extensive range of flammable liquid storage units, internal safety cabinets and outdoor relocatable dangerous goods stores. Our range remains unmatched for quality, strength and the unique features we offer. It has become the choice to a wide range of demanding environments such as mining, defence, heavy engineering shops, airport facilities, port facilities and more.